Thousands of decorative lights from the palm of my hand to the branches of my trees, or spans of my walls in minutes. Minutes. Without the hassle of knotted wires. Without the danger of ladders. Without the frustration of crapped out bulbs. Dude, this Christmas, I'm going all-out Clark Griswold. 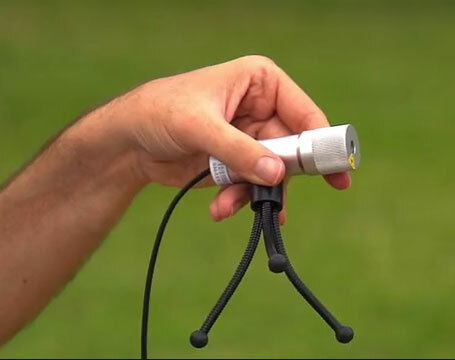 The Illuminator Laser Light decorates both interiors and exteriors with the smattered effect of pinpoints galore in a fraction of the time it normally takes to string and hang strands of lights. 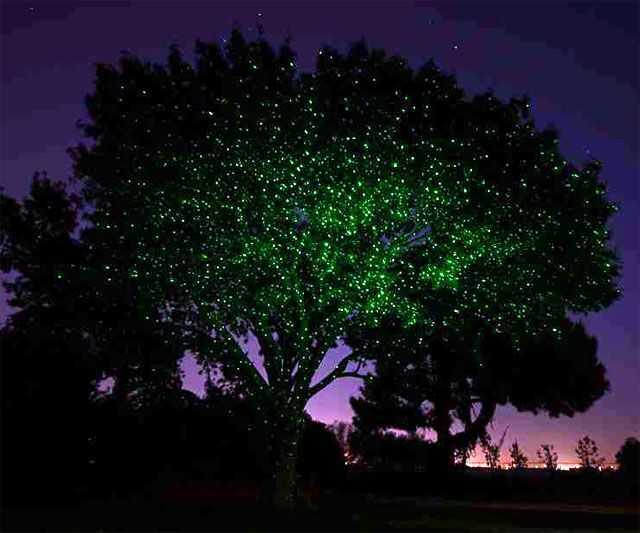 Instead of employing individual bulbs, the patent-pending contraption splays a projection of laser-driven LED dots onto receiving surfaces. Any surface is fair game, and each 3-ounce Illuminator can cover an area of up to 25' x 25'. Setup is straightforward, point-and-shoot. 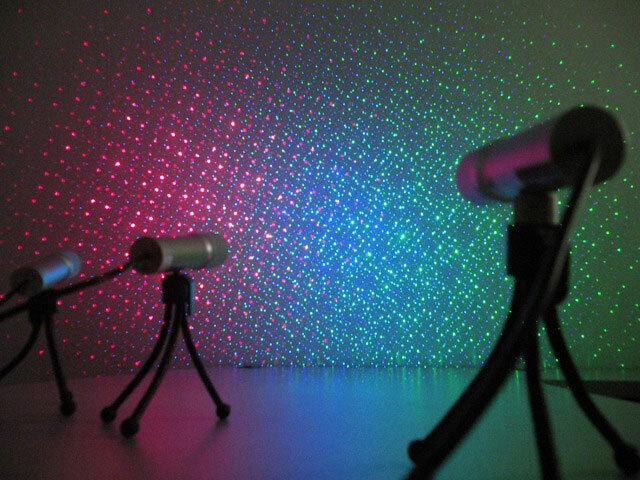 The light attaches to a flexible stem and base, plugs in, and then projects its red, green, or blue colors onto the facing surface. To widen light coverage, move the Illuminator farther from its surface point; to narrow, move it closer. Designed to be resilient as well as portable, the laser's aluminum casing can withstand harsh and wet weather conditions, and claims to last for years of repeated use. 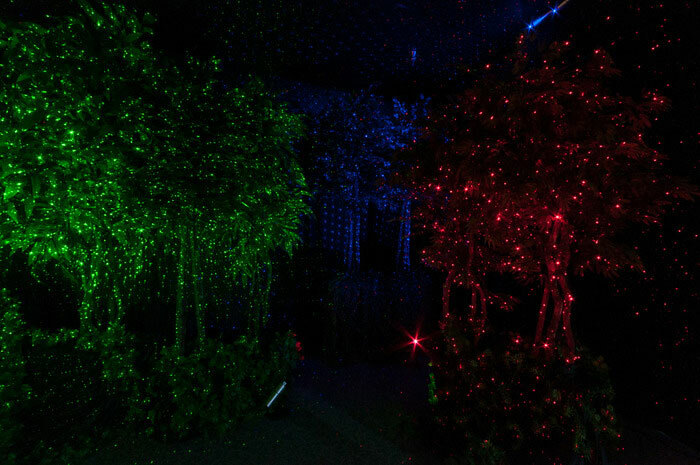 Lasers include an adjustable dial that produces 7 different lighting effects so users can change lights' appearance nightly, or according to the occasion. 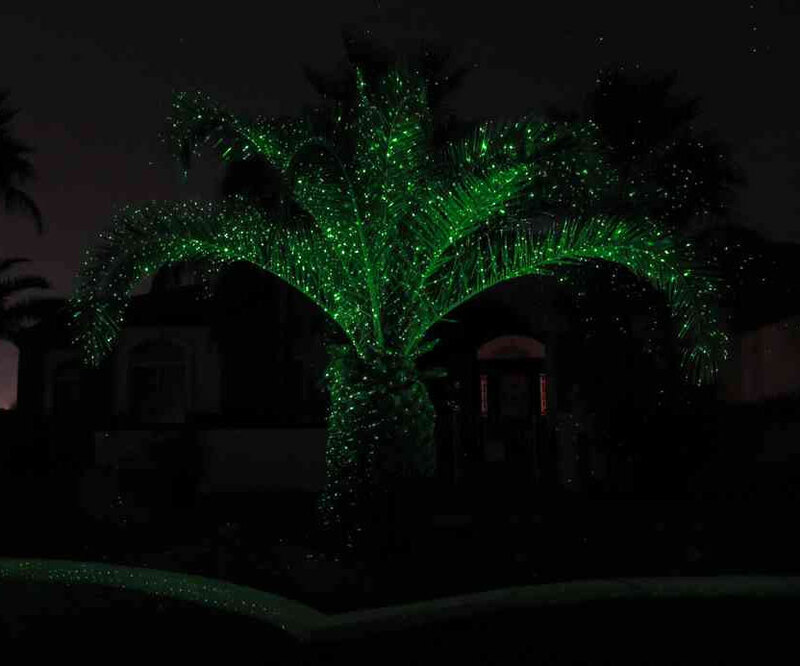 Holidays--Christmas, Halloween, Fourth of July--make obvious choices for lighted decor, but the Illuminator also suggests installation for weddings, birthdays, and year-round landscape flourishes. Muchas danke to Marie O. for the Dude Product Tip.